NASCAR announced Monday in a memo to teams a host of qualifying procedure updates, including additional deterrence measures, for all three NASCAR national series ahead of the upcoming race weekend at Texas Motor Speedway. 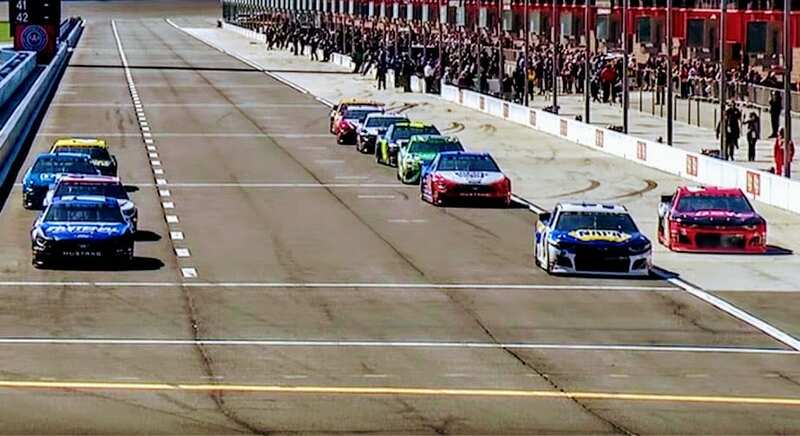 The goal: To create order on Pit road and retake control qualifying following a final round at Auto Club Speedway in which all 12 Monster Energy NASCAR Cup Series drivers failed to make it to the start / finish line in time to log an official lap. 1; at the judgment of NASCAR – in a way that prohibits other drivers from exiting pit road will incur a penalty, such as disallowing that team posted qualifying speed and / or disqualifying that car from additional qualifying rounds. "The inherent problem (at Auto Club) was obviously everybody waiting to end, and being unorderly on the end of pit road with people blocking and playing all kinds of games," NASCAR Senior Vice President of Competition Scott Miller Customs NASCAR.com. "So really, we want to retake control and make order out of pit road and the way that drivers leave. Starting at Texas, vehicles not immediately making a qualifying attempt will be staged in a track-specific area designated by NASCAR. Once a vehicle leaves the area, it must continue directly onto the race track – it cannot stop at the end of the pit road and wait in a gamesmanship play. The structure of group qualifying will not change – meaning the first of three rounds is 10 minutes, the second round is five minutes and the third and final round is five minutes. Miller said NASCAR reached this update in collaboration with teams and others in the industry, and there were a few options considered. One that was not: A return to single-car qualifying at short tracks and intermediates. "One of the things we wanted to hold true to is not to go back to single-car qualifying," Miller said. “Single-car qualifying is two things – it's drilling and it's expensive. It also doesn’t create a good show.